A 75 year old Malawian man in Blantyre was found dead last Friday in his hut and postmortem results have shown that he died of suffocation due to strangulation. According to Blantyre police deputy spokesperson, Andrew Mayawo, the deceased has been identified as Lawrence Kandulu of Solomon village in the area of Traditional Authority Somba in Blantyre. Mayawo said Kandulu who was staying alone in his hut which is built away from his relatives, was found dead at around 11 o’clock in the morning after his relatives went to wake him up. Later the relatives reported the matter to Milare police who rushed to the scene of the incident. Mayawo said the man was found with some blood oozing from his nose but there was no sign of a wound. 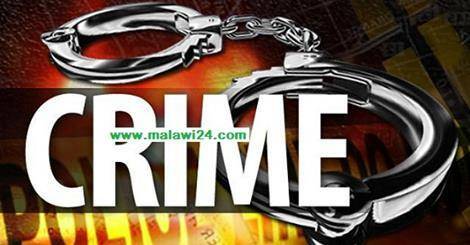 In a related development, a man in Zomba has been found dead with his body hanging on a tree in Chilumba forest. Zomba police spokesperson, Patricia Supuliyano said the man was found by one of the men who work in the forest and he reported the matter to police. Meanwhile, police says the man is yet to be identified and they have urged the general public to report to a nearby police station if one of their relatives is missing. Strangulation is same as strangle…..
Poor reporting.Inu a president do you see people have started dying of hunger? Thiz tps of inceds r mstry tkng pat in suthen rgon WHY? A malawi 24 mukuganza bwanj? Koma anthu enanuuuuuuuuuu … Iaiaiaiaiaiaiaiaaia ! Strangle means : To kill by gripping or squeezing the neck tightly . E.g by tightening a cord , nylon stocking , string etc around the neck . To u who did it, God saw u and he will catch up with u. 75yrs, amaganiziridwa ufiti???? A Thindwa afufuze bwino. Kodi inuyo a Malawi 24 tinene kut mulibe ma Cameras kuti muzitha kutola zithunzi kut tiziona ndiku tsimikiza zomwe mukutiziwisa? Chifukwa kandimvelele adakanena za m’maluwa. l min thoz hu have done ds wil face judgement day….u kne wat l min nw mr MTS??? Komaso inuyo a Malawi24 kodi chifukwa chani nkhani zanu zambiri zimangokhala zakumwela kokha??? . . . Chigawo chakupoto bwanji!!?? kumachitika zambiri koma aaaaaa!! !